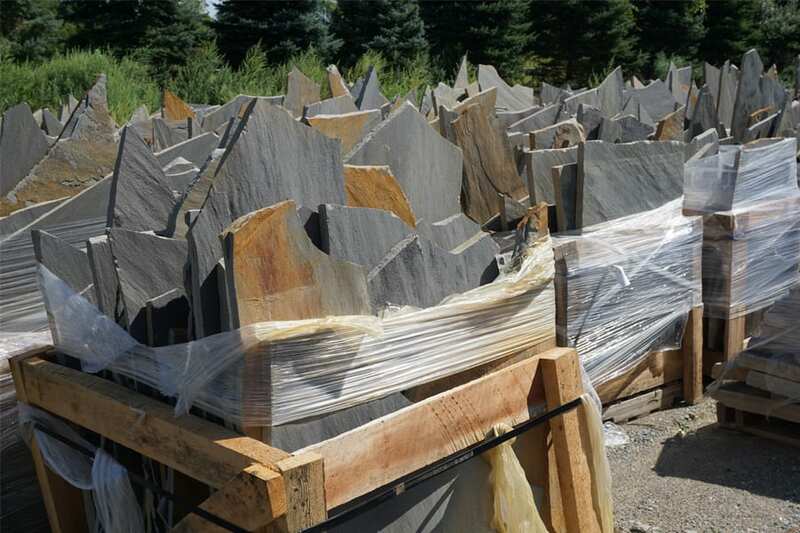 Tennessee Crab Orchard Gray Color Irregular Walkway & Patio Stone - Vertical Pallet. 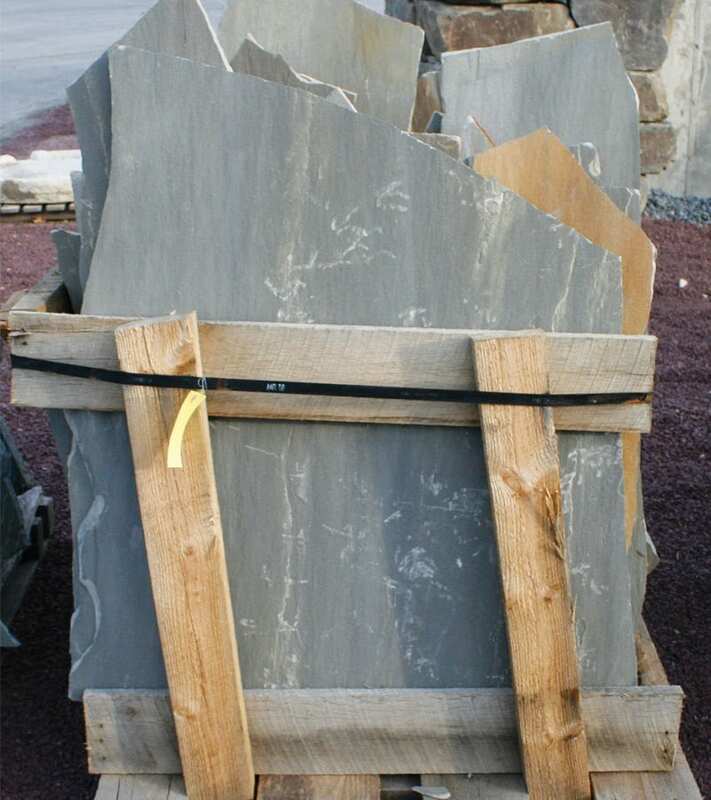 An alternative to Bluestone with more charcoal gray tones than the blue gray tones found in bluestone. Charcoal Gray with select areas or pieces having bright accent colors like Rust or Brown. White veining is evident in some pieces. If you are looking for an alternative to Bluestone - this could be it. 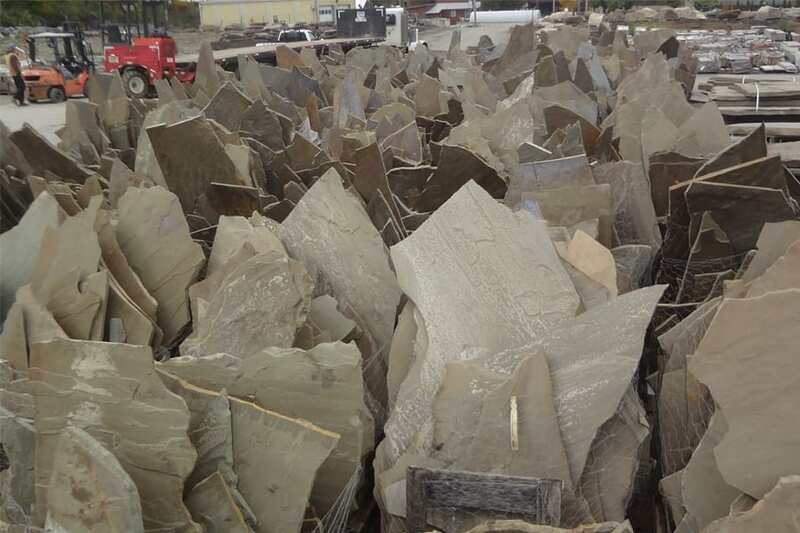 Colors on Tennessee Crab Orchard (TCO) Gray are different than Bluestone colors - it is a darker gray with TCO. Instantly gives a weathered, aged look. Accent colors can be very striking. This is very large stone and cannot be handled by one person. Wicki Stone carries these products that match or compliment Tennessee Crab Orchard Gray Irregular walkway and patio stone.